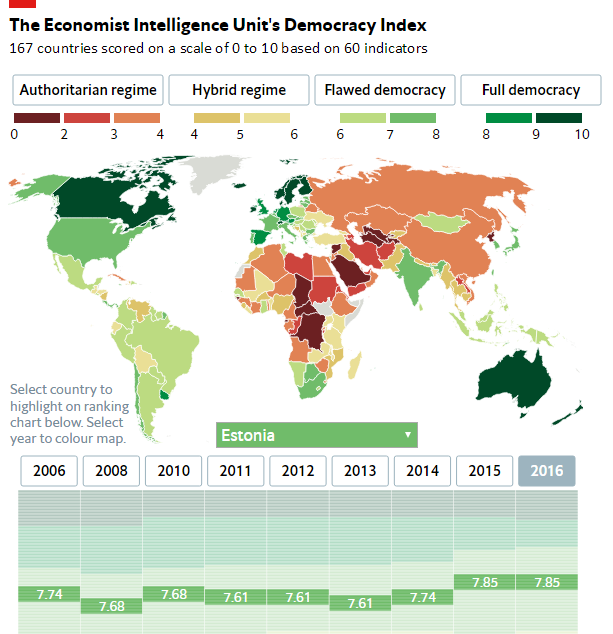 The Economist Intelligence Unit’s Democracy Index 2016 has ranked Estonia as a borderline “flawed democracy” with the score of 7.85 out of 10; a “full democracy” ranking begins from the score of 8.0. 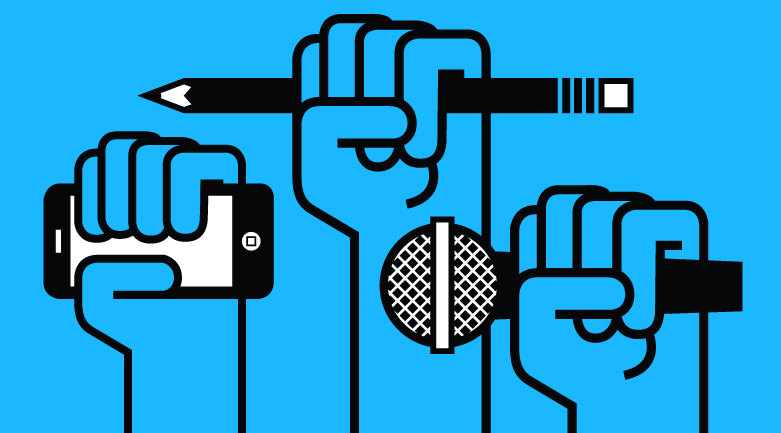 In the Economist Intelligence Unit’s Democracy Index, 167 countries scored on a scale of 0 to 10 based on 60 indicators across five broad categories: electoral process and pluralism; functioning of government; political participation; democratic political culture; and civil liberties. Countries with the score of 8-10 were ranked as “full democracies”; 6-8 as “flawed democracies”; 4-6 as “hybrid regimes”; and 0-4 as “authoritarian regimes”. Estonia scored 7.85 also in 2015. In 2014, the country’s score was 7.74; in 2011-2013, 7.61. Latvia scored 7.31 in 2016 and Lithuania 7.47. Russia’s score in the index was 3.24, making it an “authoritarian regime”. Estonia’s northern neighbour Finland, however, scored 9.03. Norway scored highest in the 2016 index with a near-perfect 9.93. According to the Economist Intelligence Unit, almost one-half of the world’s countries can be considered to be democracies of some sort, but the number of “full democracies” declined from 20 in 2015 to 19 in 2016. The Economist Intelligence Unit is a British business within the Economist Group, providing forecasting and advisory services through research and analysis, such as monthly country reports, five-year country economic forecasts, country risk service reports and industry reports.